Chrome for mobile translates the web to emoji. While Chrome on computers is now the leading browser, Chrome for mobile has seen slow show adoption. The Chrome team at Google asked MUH-TAY-ZIK | HOF-FER to help spread the mobile love. So we needed so show people cool things they could only do with Chrome, only on mobile. 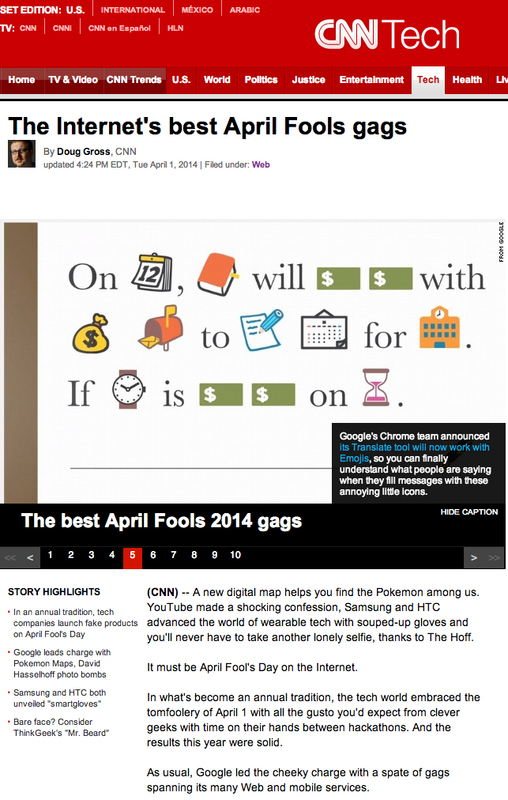 On April Fools’ Day, we gave users the chance to translate the entire mobile web into Emoji. You could only access this feature by downloading or updating the Chrome app. To spread the word of this very real innovation we created an April Fool’s Day video. It foretold a future where letters and words are obsolete and Emoji is the universal language. Google Chrome – Emojify the Internet from MUH-TAY-ZIK | HOF-FER on Vimeo.